What is your calling? Do you know what the Lord is calling you, nudging you, leading you to do? Or is it someone He’d like you to be, perhaps? Becoming acquainted with the Lord’s call on your life is a messy process, and sometimes it doesn’t yield fruit exactly like we think it will. God gives us gifts, passions, talents, skills, and desires, and for good reason. Each of those things (and a lot more, too) make us into who we are in Him. He has allowed us to be good at the things we’re good at. He has given us passions and desires so that we may be kingdom-builders and world-changers in our own way. That cliche about how “God doesn’t called the equipped, He equips the called” may actually be as true as it is annoying. As a perfectionist, I have a disadvantage when I’m asked to do something. If I say “yes” to something, I become obsessed with it. I must do the best job I can do, because I’m afraid of failure. That being said, I don’t say yes to very many things, because if I know ahead of time that I don’t have the energy, time, or skills to do the job extremely well, I’ll just say “no” instead. Even if I can do part of it, or do it well enough, or learn a lot through the process, I don’t want those things… I want perfection or nothing. I want to go 100%, or I won’t start. But something I’ve had to learn is that not being able to achieve that perfection is okay. Sometimes, what I need more than a perfect product is a perfect process. Or even a messy process to which I’ve given my 100%. My “all” doesn’t always come out perfectly in the end… but God is a miracle worker and can bring it the rest of the way if I let Him. God is the miracle worker. He just needs willing bodies that He has called “able” to do what He is calling us to do. So when you hear Him calling you towards something that you aren’t sure if you can do, trust Him. If you feel nudged toward a new project, of trying something you’ve never tried before, or an undertaking you aren’t sure you can handle, ask Him to help you do it. You only need to be willing to give Him what you have. He’s got the rest. On a podcast I listened to this morning, the guest referenced something a friend had told her: You just need to take care of the two fishes and five loaves. He will feed the five thousand. It’s okay to not have everything you need to finish what you’ve been called to start. It’s okay if you can’t see the end to know what’s coming, or if you don’t even make it that far. It’s okay if you only have time to do part of it, or if doing it on top of a hundred other responsibilities means that it takes you a really long time. I might be stepping out on a limb, but I don’t think perfectionism is what He calls us to achieve. There is grace for you to follow where you think He’s leading you, even if there’s a part of you that thinks (or the devil is sneaking in the feeling) that you’re “half-assing” it. God usually doesn’t call us to do things that are easy, or done in a short period of time. He frequently calls us to make a decision for a life-long process of learning, doing, teaching, or searching. He calls us to something higher than we would plan for ourselves, though in following His will, there is fulfillment we would never dream possible. If you feel like He is leading you somewhere, changing your plan, pushing you to go the extra mile, then follow Him. I encourage you to pray through it, seek wise counsel, and go out on that limb. That limb is where you may just find the excitement, fulfillment, and contentment you’ve been searching for. Happy Tuesday! It’s Thanksgiving week, and we are ready to binge eat – how about you?! I hope you enjoy these funnies and have a great Turkey Day! EK, standing between Hubby and me: Hug? Hug? Cuddle Huddle! EK, shouting angrily to J: I get the purple, because purple is my favorite color! And you get the green because green is your favorite color! Agh! EK was helping me sweep the floor. J: EK! Come check out this spider web! EK: I can’t right now. I’m really busy helping mom. J: Come on, come see it under here! EK: I know we’re best friends but I just can’t right now. J, excitedly pointing to the toilet: Mom! Look how many pee bubbles there are! EK, reading over my shoulder: You! Y-o-u! I saw it! My! The! No! I know those! J: My nose is snotty. I’m sick. Do I have school today? Me: You really fast-forwarded that sequence there. D, while I’m holding him already: Moooooom, I wan’ ‘nuggle!! I love recording little conversations between my older two kids, like the one at the top. Their relationship is getting more developed every day. What about you? What are your kids saying these days? My little people aren’t to blame. Well, my little people aren’t to blame, either. What is our culture’s obsession with blame? We need someone to be in the wrong in every unfavorable situation. Our president or the government is to blame. My boss is to blame. Our spouses, our parents, our kids. Well, what about the recent hurricanes? Who is to blame for that? No one. We’d love to pin down who caused all the destruction, who could be held responsible for the damage done, the property lost, or the money that will be spent on rebuilding instead of vacations and Christmas presents. So when I get upset, annoyed, frustrated, or just plain angry, my little people aren’t to blame. I might need reminding of this fact, but they simply aren’t to blame for their tendencies toward mess-making, misunderstandings, or sleep-deprived moodiness. My little ones aren’t to blame for the fact that scrambled eggs aren’t their favorite breakfast, or that they have to wear pants today, or even the fact that they can’t survive off of fruit snacks. But you know what, I do agree that I’m not to blame either. 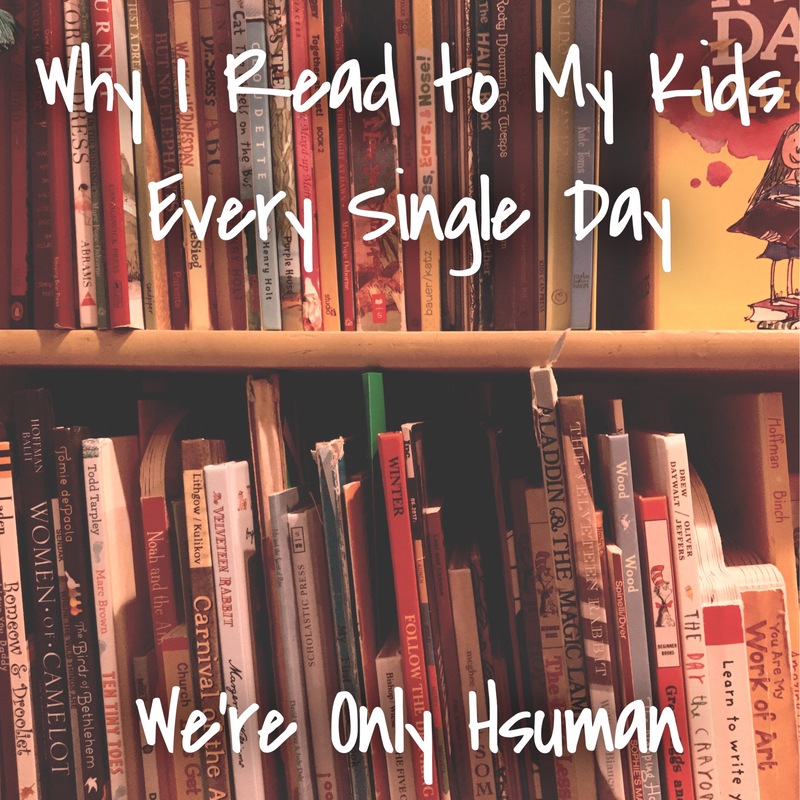 You see, the kids and I, we are human. We are broken. We are prone to mistakes and sins. The only thing that can redeem us of those things is the grace of God. It’s by the grace of God we love each other through and in spite of messes (literal and figurative) and it is by His grace we can sometimes rise above the little things that often get under our skin. It’s by the grace of God that I even have these perfect little people in my life, and I wouldn’t dare say that my frustration outweighs the daily joy they bring to my life.